Audioquest cables have evolved over 30 years. Bill Low and Joe Harley's passion has creates amazing cables for our high-performance industry. 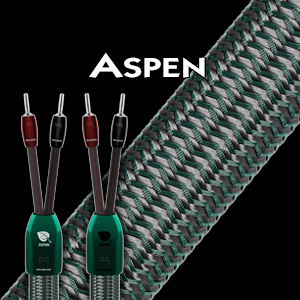 Aspen uses a carefully finessed combination of high-purity Perfect-Surface Copper (PSC), and extreme high-purity Perfect-Surface Copper+ (PSC+) conductors in a Self-Shielding Double Counter-Spiral HyperLitz design. Solid conductors prevent strand interaction, a major source of distortion. Surface quality is critical because a conductor can be considered as a rail-guide for both the electric fields within a conductor, and for the magnetic fields outside the conductor. The astonishingly smooth and pure Perfect-Surface nearly eliminates harshness and greatly increases clarity compared to OFHC, OCC, 8N and other coppers. The superior purity of PSC+ further minimizes distortion caused by grain boundaries, which exist within any metal conductor. Aspen 6 ft pair, $1760. 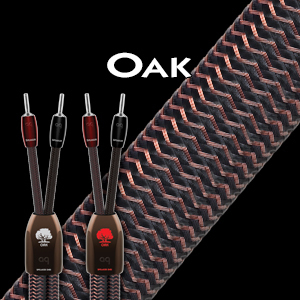 The mighty Oak is known for its strength and endurance, which are also qualities found in this speaker cable. Oak uses extremely high-purity Perfect-Surface Copper+ Conductors. All conductors are solid, which prevents strand interaction, a major source of distortion. Surface quality is critical because a conductor can be considered as a rail-guide for both the electric fields within a conductor, and for the magnetic fields outside the conductor. The astonishingly smooth and pure Perfect-Surface eliminates harshness and greatly increases clarity compared to OFHC, OCC, 8N and other coppers. The superior purity of PSC+ further minimizes distortion caused by grain boundaries, which exist within any metal conductor. Oak 6 ft pair, $2480. RIP Gibraltar, long live Castle Rock! 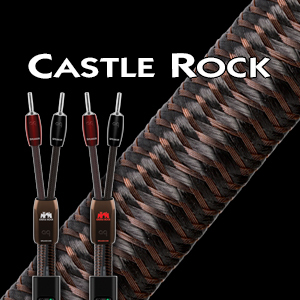 Like Gibraltar before it, Castle Rock is designed as an extremely high-performance cable which provides true Double-BiWire performance in a single attractive cable. 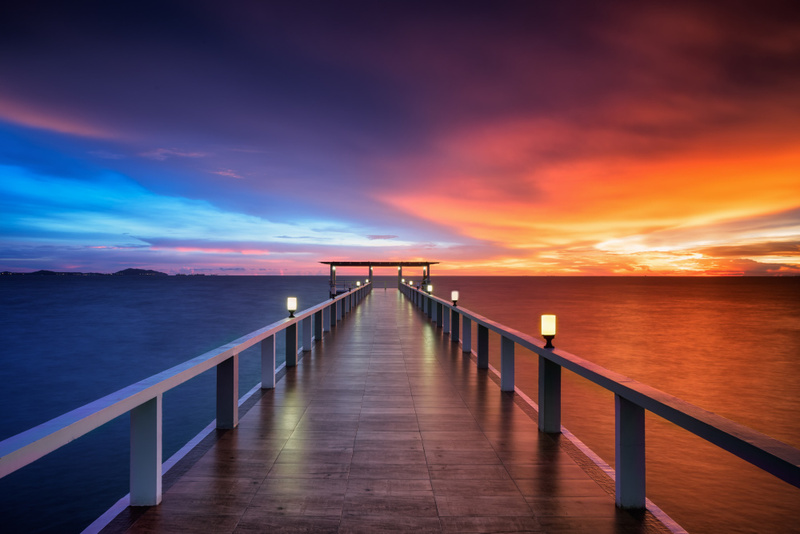 Gibraltar’s all important basics – superior geometry, magnetic autonomy of each quad-conductor section, Perfect-Surface metal technology,conductor-size optimization (AQ’s Spread-Spectrum Technology), etc. are the fundamentals of Castle Rock. Castle Rock employs AQ’s best copper conductor metal (Perfect-Surface Copper+), AudioQuest’s DBS (Dielectric-Bias System) and NDS (Noise-Dissipation System). Castle Rock 6 ft pair, $1300. Other lengths available on special order, usually 2-3 days. 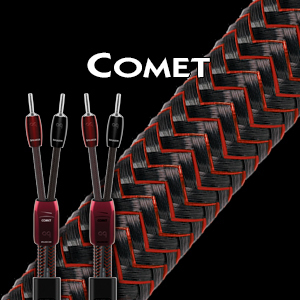 Comet uses a carefully finessed combination of Perfect-Surface Copper+ and extremely high-purity Perfect-Surface Silver conductors. All conductors are solid, which prevents strand interaction, a major source of distortion. Surface quality is critical because a conductor can be considered as a rail-guide for both the electric fields within a conductor, and for the magnetic fields outside the conductor. The astonishingly smooth and pure Perfect-Surface eliminates harshness and greatly increases clarity compared to OFHC, OCC, 8N and other coppers. The superior purity of PSC+ and PSS further minimizes distortion caused by grain boundaries, which exist within any metal conductor. Meteor uses a carefully finessed blend of Perfect-Surface Copper+ and extremely high-purity Perfect-Surface Silver conductors. All conductors are solid, which prevents strand interaction, a major source of distortion. Surface quality is critical because a conductor can be considered as a rail-guide for both the electric fields within a conductor, and for the magnetic fields outside the conductor. 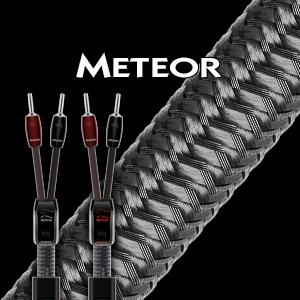 Meteor 6 ft pair, $4300. 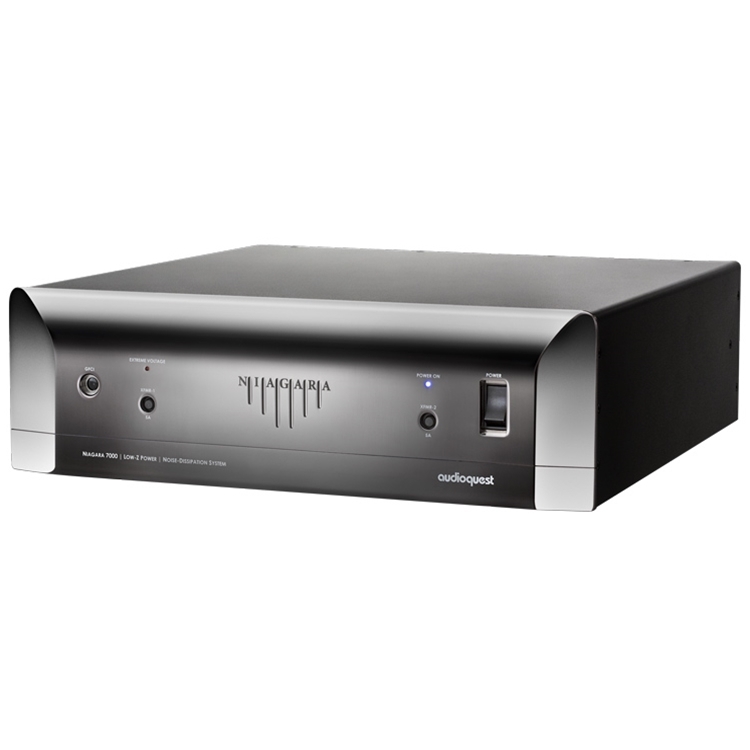 The Niagara 7000 uses Audioquest's patented AC Ground Noise-Dissipation System, the world’s first Dielectric-Biased AC Isolation Transformers, and the widest bandwidth-linearized noise-dissipation circuit in the industry. A unique passive/active Transient Power Correction Circuit features an instantaneous current reservoir of over 90 amps peak, specifically designed for today’s current-starved power amplifiers. Most AC power products featuring “high-current outlets” merely minimize current compression; the Niagara 7000 corrects it.